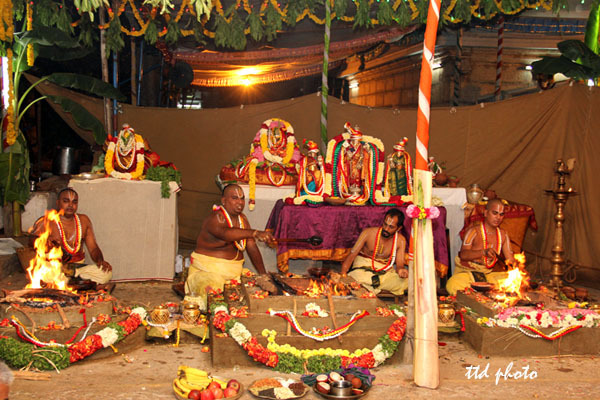 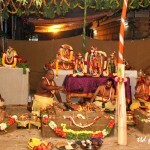 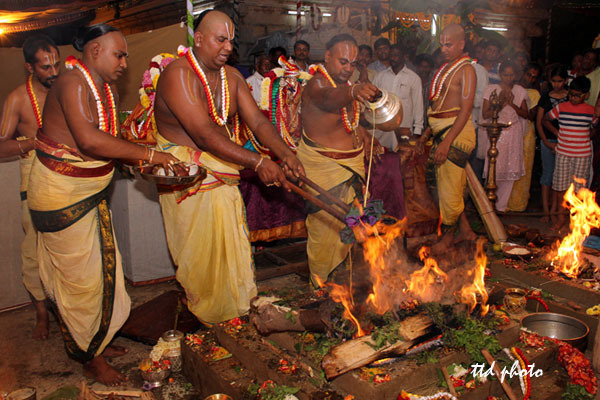 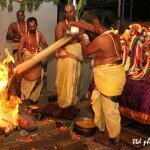 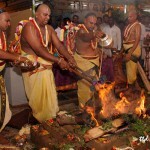 Appalayagunta, 20 September 2014 :On the concluding of Three day Annual Pravithrotsavam in Sri Prasanna Venkateswara Swamy Temple in Appalayagunta about 20 kms from Tirupati, Priests performed “PURNAHUTHI” inside temple premises on Saturday. 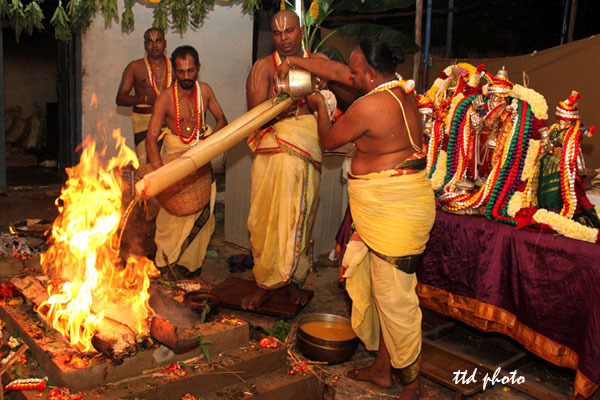 Earlier in the morning Temple Priests performed Snapana Tirumanjanam to the processional deity of Lord Prasanna Venkateswara Swamy along with His consorts. 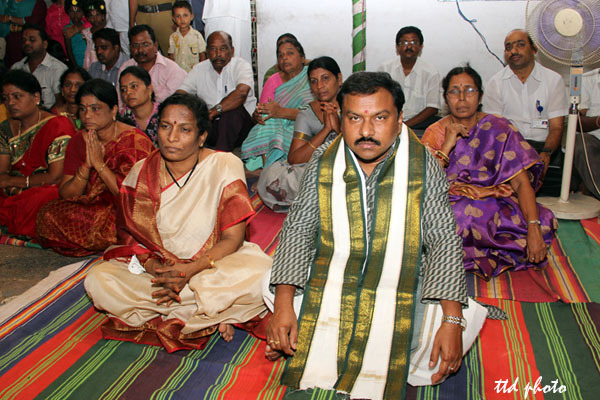 Tirupati Joint Executive Officer Sri Pola Bhaskar, Temple deputy EO Smt Chenchu Lakshmi and others were also present.